Meg Whitman is a lot of things among which a successful business executive takes center stage. The Havard Business School alumnus worked in the capacity of President and Chief Executive Officer (CEO) of eBay as well as Hewett-Packard Enterprise and currently, she is the CEO of Quibi – a new smartphone video streaming platform founded by Jeffery Katzenberg. A business pundit, Whitman used her acumen and wealth of experience in the technological world to turn things around at eBay where she oversaw the revenue growth of the company from $4 million to $8 billion and employee growth rose from 30 to 15,000 persons. On the political front, Meg Whitman is a member of the US Republican Party and ran for Governor of California in 2010, under the Republican platform but was defeated by former Governor Jerry Brown of the Democratic Party. This defeat came with a reported huge loss of about $140 million of personal fortune. She is an American national born on August 4th, 1956, in Cold Spring Harbour, New York, U.S.A. Meg was named Margaret Cushing Whitman upon her birth as the last child of Hendricks Hallett Whitman Jr (father) and Margaret Cushing (mother). Her father was a successful businessman while her mother was a housewife. During the Second World War, her mother served as an airplane and truck mechanic. Meg’s siblings are Anne Whitman (sister) and Hendricks Hallett Whitman III (brother). She was born with a birth defect called dysplasia that was corrected with the use of a stiff metal brace until she was 3 years old. As a child, she was an enthusiastic athlete who played tennis, lacrosse and took part in competitive swimming. Meg Whitman had her high school education in Cold Spring Harbour High School in Cold Spring Habour, New York, between 1971 and 1974. She then enrolled into Princeton University with the intention of fulfilling her life dream of becoming a Medical Doctor but however changed her major to Economics, after spending a summer selling adverts for a magazine. She graduated with a B.A with honors in Economics in 1977. Meg Whitman then proceeded to Havard Business School, where she obtained an M.B.A. in 1979. In 2017, the veteran was awarded an honorary doctorate degree by Carnegie Mellon University. Meg Whitman started her business career in 1979 with Proctor and Gamble in Cincinnati, Ohio, working as a brand manager. She moved to Bain & Company’s San Francisco office as a consultant and then rose to the rank of vice president from 1981 to 1989. In 1989, the Walt Disney Company hired her as the vice president of strategic planning for two years. From 1992 to 1995, she was employed as the senior vice president of Florist Transworld Delivery. Meg Whitman left Florist Transworld Delivery for Hasbro where she remained till 1998. Her job as the CEO of eBay took off in 1998. There, she made her first billion and her reign as the CEO lasted for a decade. Afterward, she moved to Hewett-Packard Enterprise as the CEO and president until she stepped down in 2017. In 2018, Meg Whitman was hired by Jeffery Katzenberg as the CEO of Quibi, a position she holds till date. In 2018, Meg Whitman was listed by Forbes as one of the Most Powerful Women in the World in the 20th position. Her profound understanding in brand building, together with her grasp of consumer technology and previous accomplishments as a business executive, prompted Jeffery Katzenberg to offer her the CEO position in his new company, 5 minutes after her announcement that she is stepping down as the CEO of Hewett-Packard Enterprise in 2017. She got married on June 7, 1980, to Dr. Griffith Rutherford Harsh IV. He is a brain surgeon and a professor of neurosurgery at Stanford. They met at Princeton University during her sophomore year. Meg Whitman and her husband have a home in Atherton, California. The couple’s union is blessed with two sons, Griffith Rutherford Harsh V and younger brother William Harsh. Just like their mother, Griffith Rutherford Harsh V and William Harsh attended Princeton University and acquired billionaire bad boy reputation. 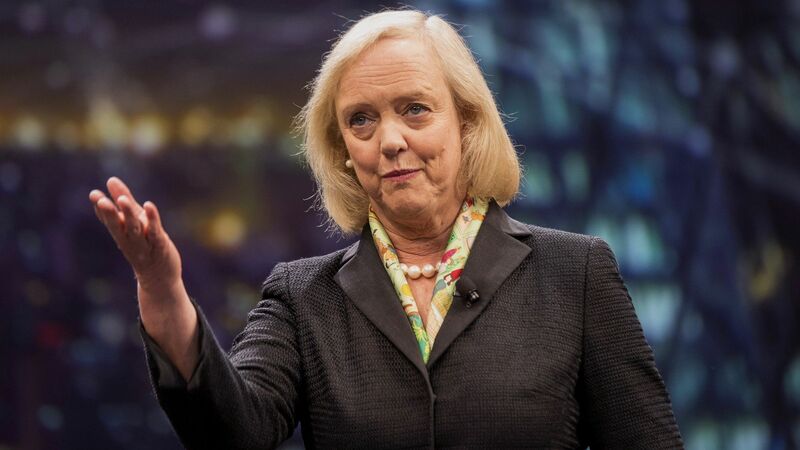 Meg Whitman is not without a doubt, among the best in the business world and her portfolio speaks volumes about the success she has attained so far. She is on the Forbes 2019 billionaire list with a whopping net worth of 3.5 billion. Notably, the billionaire invests heavily in charity and has a lot going on in that regard.